It only took three+ years, but I finally got around to making my own version of lotus root cakes after eating them at Tasty Garden - Alhambra. 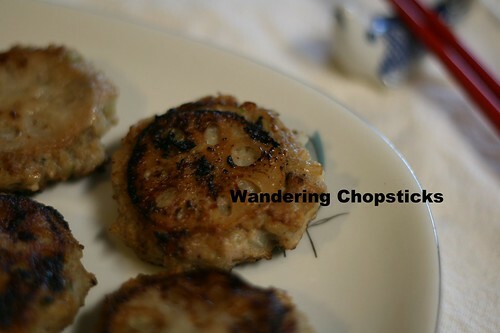 The only similarity though is the chopped lotus roots in the pork patty. 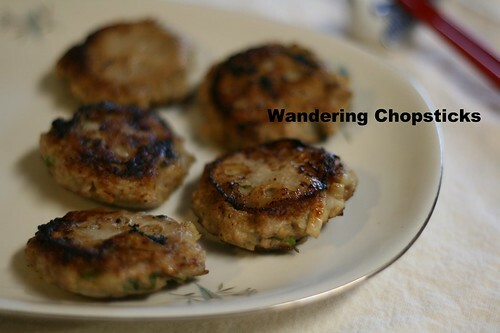 Other than that, these are really Vietnamese lotus root pork patties. After playing around with my usual Nem Nuong (Vietnamese Grilled Pork Patties) recipe by adding scallions and making Nem Nuong Hanh La (Vietnamese Grilled Pork Patties with Scallions), I decided to use that as the base. A little less sweet than the usual nem nuong though, with chopped lotus roots mixed in with the pork and thinly sliced lotus roots on both sides for presentation. I then sprinkled the plate with Cu Sen Chien (Vietnamese Fried Lotus Root Chips) since the plate was looking decidedly brown. 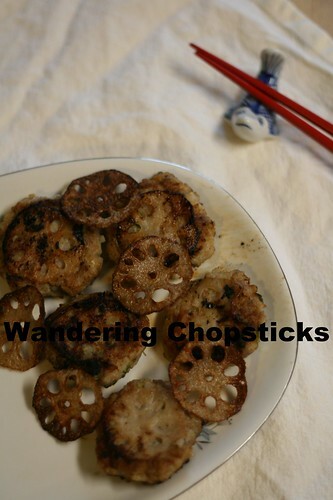 Inspired by the lotus root cakes at Tasty Garden - Alhambra. 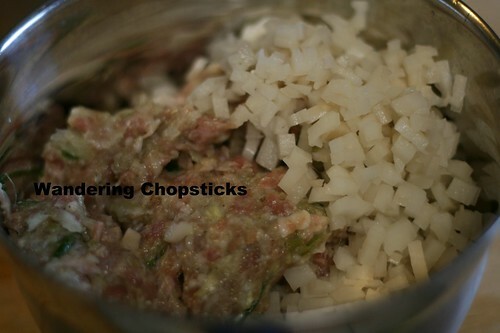 In a bowl, grate 1 small onion and mince 2 cloves of garlic and 2 scallions. Add 1 lb ground pork, 2 tsps sugar, 2 tsps fish sauce, 1 tsp salt, and 1 tsp ground black pepper. Mix thoroughly and set aside in the refrigerator to firm up. 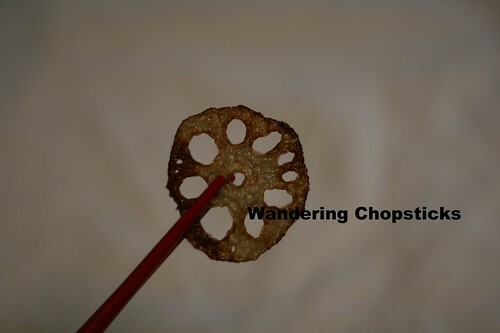 Peel the lotus root and thinly slice about half of it. 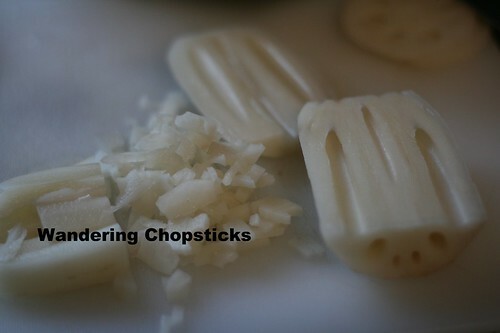 Finely chop the other half of the lotus root. Add the chopped lotus roots to the pork mixture. Mix thoroughly. Wash and oil your hands and form patties about 2- to 2 1/2-inches in diameter. 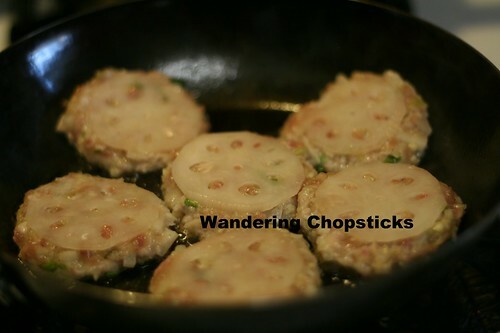 Add a thin slice of lotus root on each side of the pork patty. 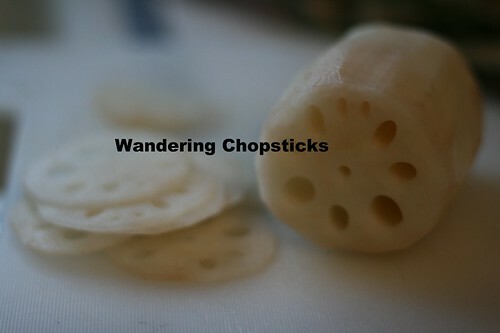 You probably won't use up all of the lotus root slices. Pan-fry on medium heat until cooked through. I love the pretty shapes the lotus root forms on the pork patty. 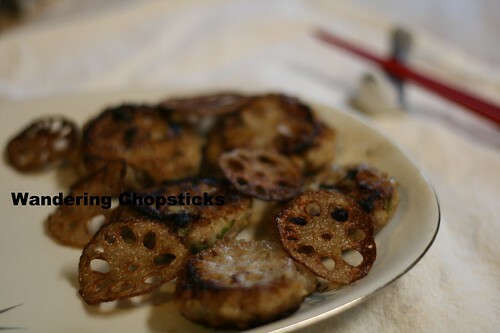 Fry the extra lotus root slices and make fried lotus root chips. 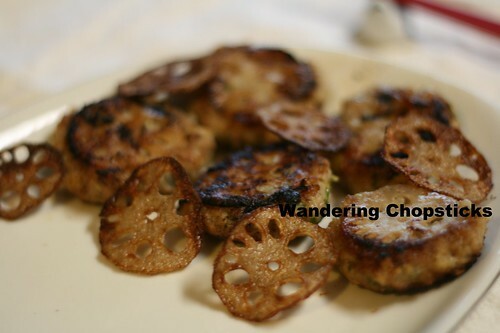 Decorate the plate of lotus root patties with fried lotus root chips. 1 year ago today, Gui Il Bun Ji BBQ Restaurant - Los Angeles (Koreatown). 2 years ago today, Main Street Brewery & Restaurant - Cortez - Colorado. 3 years ago today, How to Make Oven-Dried Tomatoes. 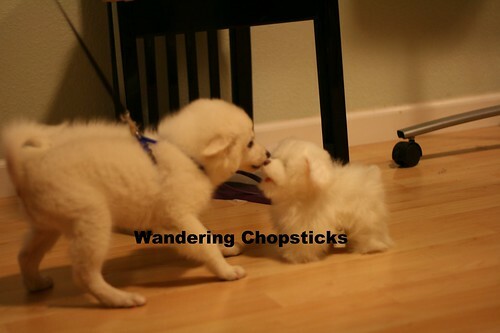 4 years ago today, Pho Pasteur - Rosemead.